Happy April from our Team at L’Auberge Chez Francois and Jacques’ Brasserie. Spring will indeed arrive soon! We are getting ready for you, cleaning and preparing for what will be warmer weather. We are mulching, landscaping and planting so that you may enjoy our beautiful scenery. We invite you to walk the grounds and visit our two large organic vegetable gardens. We are already harvesting ultra-fresh spinach to add to our salads and also featured in the grilled shrimp and local goat cheese salad, (one of my favorite healthy, leafy green vegetables). This May, we are pleased to offer you a new month of eight very special events at L’Auberge Chez François, including a Celebration of Mother’s Day Cooking Demonstration and Luncheon. 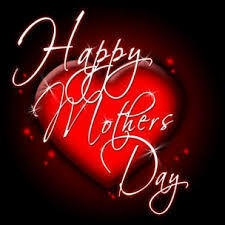 Might we suggest this lively culinary event or one of our other May Special Events as a gift for Mom? Upcoming Culinary events include Chef’s Jacques’ Table,featuring the delectable wines of Cass Vineyards; why yes, a “Spring Fling”Cooking Demo and Luncheon hosted by moi; The Best of Virginia Wine Dinner featuring the Award Winning Glen Manor wines; our popular Printemps Wine Fest and Luncheon and Two Musical Brunches,including a Rosé Garden Brunch. Why not begin your Memorial Day weekend in style with an all new Friday Night Wine Around on our beautiful terrace, enjoying our Seasonal Canapes, overlooking our Gardens? You can view all of our upcoming May events here. Join Chef Jacques’ and the team at L’Auberge Chez Francois on Friday, May 4 at 6:30 PM, as we welcome co-founder of Cass Vineyard and Winery, Ted Plemons. Named 2015 Central Coast Winery of the Year, all the wines crafted at Cass Vineyard and Winery are estate-grown and hand-picked. In total, there are 12 grape varieties planted with a focus on Rhône varities, but also some Bordeaux varieties. Cass now produces only 8,000 cases per year. Ted Plemons will be presenting exceptional wines tonight at Chef Jacques’ “Table” and no doubt will be entertaining guests with his colorful history and anecdotal wine stories for all to enjoy. It is sure to be a delightful wine-filled, palate pleasing evening! Please join us Saturday, May 5 at 11:00 AM as we say goodbye to the cold and hello to spring! Join us for a Spring Fling Cooking Demonstration where Chef Jacques will show you how to use fresh, spring ingredients to prepare a delicious meal that celebrates the season. You’ll sip on Crémant d’Alsace while you learn the secrets to making Potage of Asparagus & Gruyere Flan, the Medallions of Veal with seasonal morel mushrooms, and other dishes that showcase the bounty of the spring season. The demonstration is followed by a four-course luncheon with wine pairings, to make for the perfect celebratory springtime afternoon. Viva le Printemps! Please join us on Sunday, May 6, 2018 at 11:00 AM for our ever popular musical brunch series at L’Auberge Chez Francois. 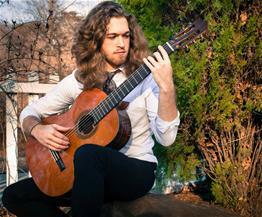 Local guitarist and composer Alexander Barnett will be performing a broad range of music from classical, modern and jazz. Since his first appearance at L’Auberge Chez François, Alex has been captivating our guests on a regular basis with sold-out events and performances. Feast on Chef Jacques’ four-course menu paired with sumptuous brunch cocktails while Alex provides his soft acoustical music. Start your day at L’Auberge Chez François and end your weekend on a high note! Please join us on Tuesday, May 8 at 6:30 PM for Glen Manor Vineyards wine dinner. 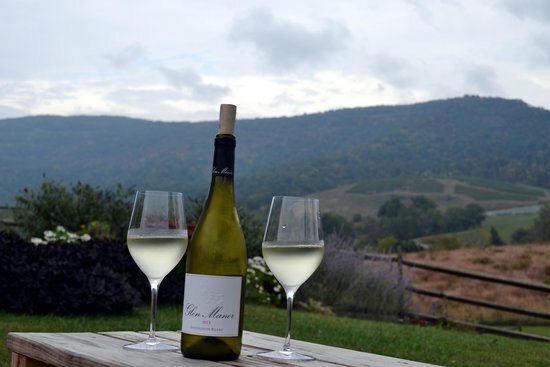 The founder and vintner of Glen Manor Vineyards, Jeff White’s interest and appreciation for wines blossomed while working for a nearby Virginia winery before he founded Glen Manor Vineyards. The original six-acre property was planted in 1995 while today, White farms 14.5 acres of grape vineyards to make world-class ‘wines with a sense of place’. Chef Jacques will present a Virginia-focused menu that he created to be paired with Jeff’s delectable Glen Manor wines from Virginia. Please join us for a special vine to table and garden to table event! hits the spot and makes the perfect gourmet gift. We hope to see you there! Please join us on Saturday, May 19th 2018 as we sample 12 wines from France, Italy, Oregon, Austria and Uruguay. Arrive anytime between 11:30 and 1:00 PM for a walk-around tasting of these fine wines paired with Chef Jacques’ seasonal canapés. Our sommeliers will be on-hand to guide you through the tasting and answer questions. Following the tasting, sit down and enjoy a complete luncheon of your choice from our four-course menu, paired with yet, mais oui, bien sûr, another glass of delectable wine.All wines sampled will be available for purchase at a very special “trade” discount for our customers that day. Merci beaucoup and see you there. 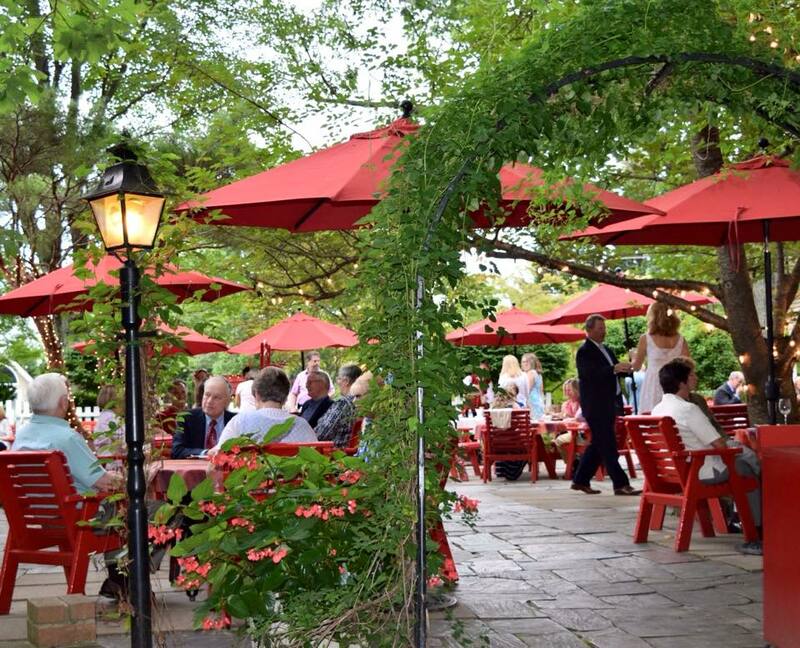 Dine on our beautiful terrace (weather permitting) on Sunday, May 20 at 11:00 AM with A Musical Rosé Garden Brunch featuring the music of guitarist Jarrett Laskey. 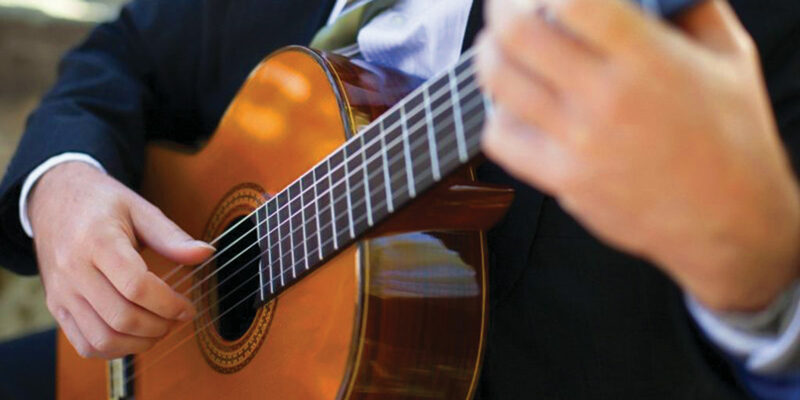 Back by popular demand, Jarrett is a classically trained professional musician performing a repertoire of Spanish and Latin guitar music, standard classical music favorites, and contemporary arrangements. Jarrett is often named as the most requested guitarist in the Washington D.C. area on Wedding Wire and The Knot. Chef Jacques has created a special brunch menu for our garden party, including, bien sûr, brunch cocktails featuring crisp Provence Rosé wine, sparkling Cremant d’Alsace and our house-made Garden Bloody Marys. Spring never looked, sounded or tasted so good! 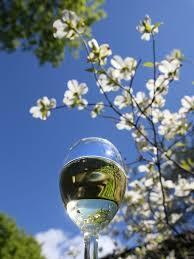 Please join Chef Jacques and our team Friday, May 25 at 7:00 PM, as we offer you a delightful way to kick off your Memorial Day Weekend~Outdoors on our beautiful terrace (weather permitting), sipping fine wines while enjoying Chef Jacques’ delectable Cuisine. Does life get any better than this? Our sommeliers will be on-hand to guide you through the tasting of eight wines from New Zealand, Spain, California and of course, France, accompanied by Chef’s Seasonal Canapés and Heavy Hors d’oeuvres. Please join us for what promises to be a delectable, delicious and delightful Friday Night on the Terrace. Merci beaucoup and see you there! Mario Cruz began working at L’Auberge Chez François in January 2006. He is a line cook during our dinner service, but is always ready to assist when we need him for luncheons and special events. 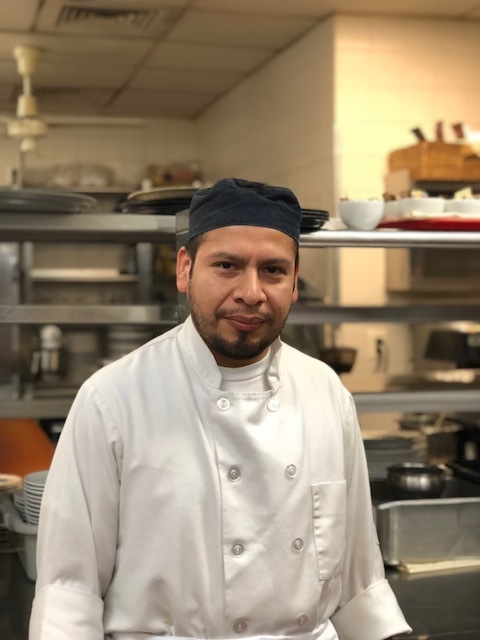 In addition to his positive and friendly attitude, Mario is another employee who always has a ready smile to greet his coworkers. 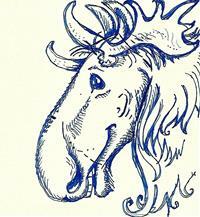 He also is always trying to brush up on his french, with his favorite words being ” ça va?”. We thank Mario for his many years of service! Congratulations to Karen R. of Vienna, Virginia for winning the March Monsieur François’ Profile Embellishment Competition. 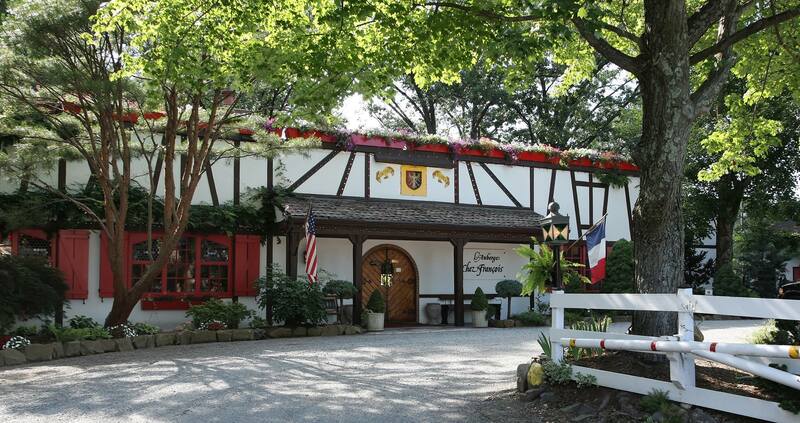 Karen will receive a $200 gift certificate to L’Auberge Chez François.